How do I help a depressed friend? She’s 13 and she says it’s due to trauma, and even though we’re bffs she’s never told me what the trauma is. This article is part of I Need To Know, a Q&A service for teenagers by The Conversation. Find out how to submit your questions at the end of this article. What a thoughtful friend you are, the fact you have asked how you can help shows how much you care. 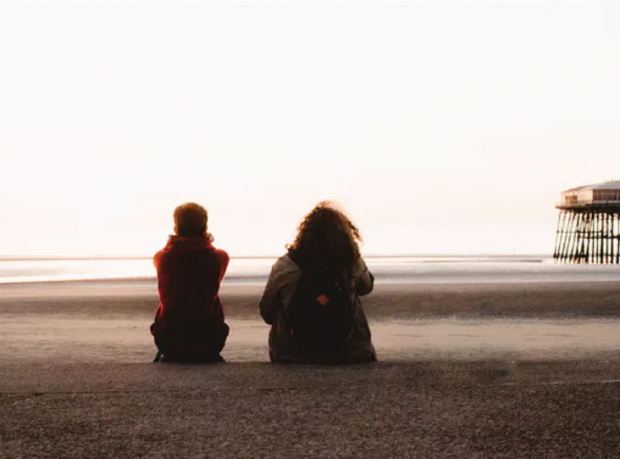 Your friend may not have told you about the trauma, but she has opened up to you about feeling depressed, which must mean she really trusts you and this is something you can definitely help her with. Depression is a common mental health problem that can affect people at many different stages in life. How bad it gets and how long it lasts can really vary. It’s often something that people find hard to talk about, as many people don’t really understand what it is. We all feel sad or down from time to time, but depression is worse than that, and typically affects the way we feel, how we think and how we behave. We know from research that people with depression often withdraw from friends and family, stop doing things they enjoy and have more negative thoughts, which make them feel hopeless. You may have noticed some of these signs with your friend. You can help her just by letting her know that you care and that she can talk to you if she wants. If she opens up to you, all you have to do is listen. Letting someone express how they feel is very therapeutic. It may be that your friend doesn’t feel she can talk to her family or may not know where else to find support. The next thing you could do is give your friend some information about what support is out there. For example, she can speak confidentially with Childline or find out more information on the Young Minds website. These are professional organisations that are specialised in helping young people with depression and trauma-related problems (I’ve linked to some sources below). Most victims of trauma find it hard to talk about the trauma itself, as this can bring back the feelings and physical sensations that they experienced at the time. Trauma is defined as a deeply distressing or disturbing experience. It can be triggered by a one off event, or can be the result of ongoing stress. People can experience trauma as a result of ordinary life events such as illness, divorce or losing a loved one, or more extreme events such as assault, injury or natural disasters. No matter how the trauma came about, I would urge you to be very careful about uncovering this with your friend – it would be better if you could seek support together from a trusted adult, or through a specialist service. You can also help your friend by encouraging her to keep up her usual activities, such as doing sports and seeing friends. Getting good quality sleep can also help with mood, and keeping a journal could help her to make sense of how she feels and process difficult emotions. But the most important advice I can give you is not to take on all the responsibility for helping your friend. There are many people and services who can support you and your friend, and this will give you the freedom to enjoy your time together having fun and sharing each other’s company. We have a huge pool of experts at our fingertips, and we can’t wait to share their knowledge with you.